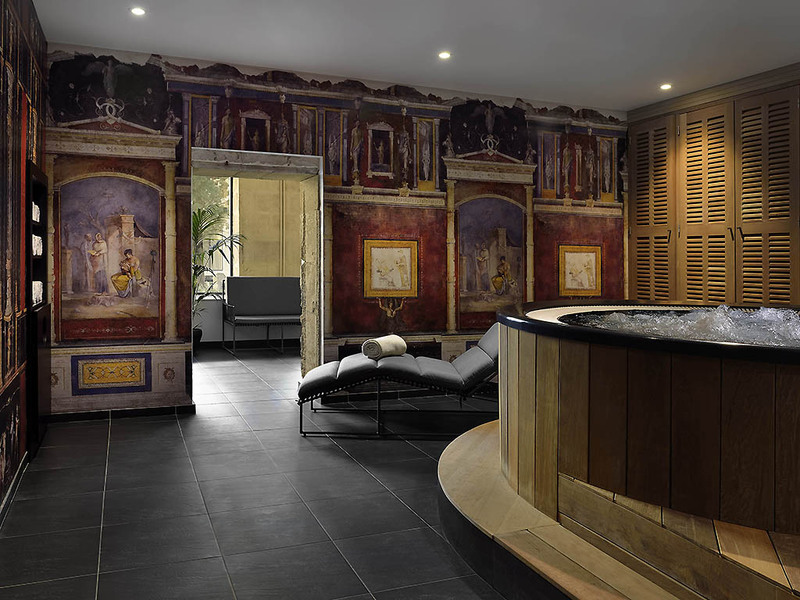 A beautiful hotel in Arles, stylishly reimagined by Christian Lacroix, which reveals its secrets throughout the stay and makes for an unforgettable experience. From Nîmes or Marseilles: take highway A54 towards Arles. Take exit no. 5 Arles-Centre, follow Boulevard Clémenceau then Boulevard des Lices. The hotel is on your right after the tourist office and the carousel. Valet service is EUR 20 per day. The hotel offers three room categories: Classic, Superior or Deluxe. Each one is unique and reveals the soul of its fashion-designer creator. The colors and materials are true works of art offering design and magic in equal measure. The Lacroix Suites and Junior Suites each boast one of three personalized decoration themes by the grand master of fashion: Lacroix, Provençal or Monastic. Each Suite can accommodate 2 to 4 people and has the option of adding a crib. The Lou Marquès gourmet restaurant offers delicious and refined French cuisine inspired by the Camargue culture. For a sun-lit meal in the summer, the restaurant offers balanced and flavorsome meals on the terrace. Enjoy a moment with friends or family for an aperitif accompanied by our delicious tapas. In the afternoon, sip a hot beverage with some petits fours. During the summer, a snack service is offered.